We collaborated with Eric Frank of Captured Light Studio to capture fluorescence video as part of a shoot to document an ophthalmic medical procedure on behalf of a client. The shot list called for the video sequence to start with white light illumination, switch to blue light (supplied by NIGHTSEA) to excite fluorescence, then add a yellow barrier filter to make the fluorescence ‘pop’. Captured Light was using a Fujinon HA18x7.6 BERM-M6B ENG Lens and needed to attach two things in front of the lens: 1) a diopter close-up lens and 2) a NIGHTSEA-supplied barrier filter. Since the shot was a close-up there was not a lot of room to work. 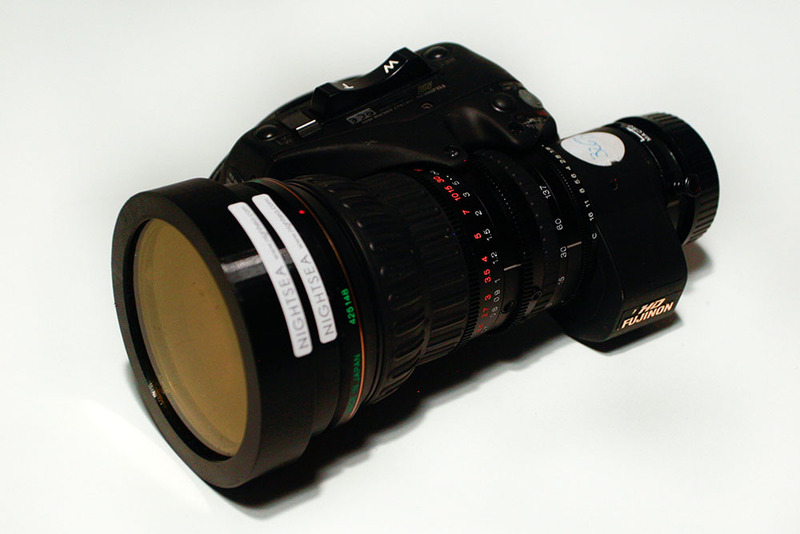 We produced two custom adapters so that Captured Light could securely mount the diopter to the camera lens and then add the barrier filter when needed. 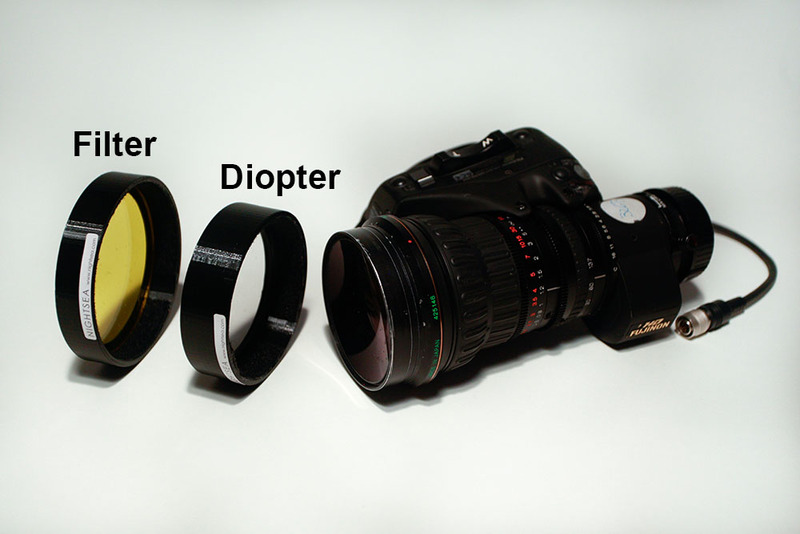 The first adapter holds the diopter and has a diameter that provides a slip fit over the camera lens. The second adapter holds the filter and provides a slip fit over the first adapter. 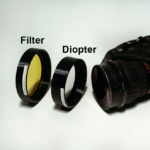 The result is a system for adding the diopter and filter that is easy to use in the field and does not protrude far from the front of the lens.